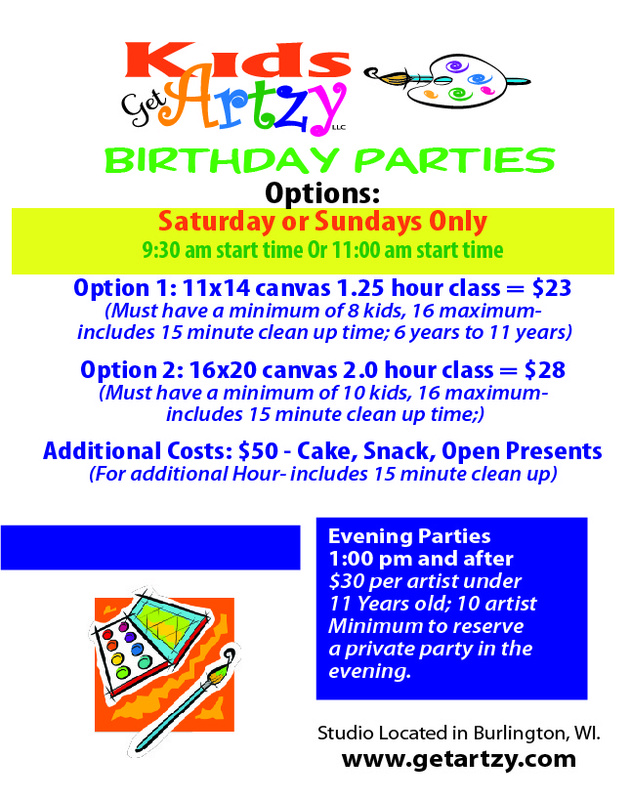 6 artists minimum and 16 artists maximum; AGES 6 years and up. Window Class only 10 people Max! RESERVATION-Must reserve a date 2 weeks in advance – Go to CLASS SIGN IN on this site. DEPOSIT must be paid to hold your date and time. MATERIALS for class are included. 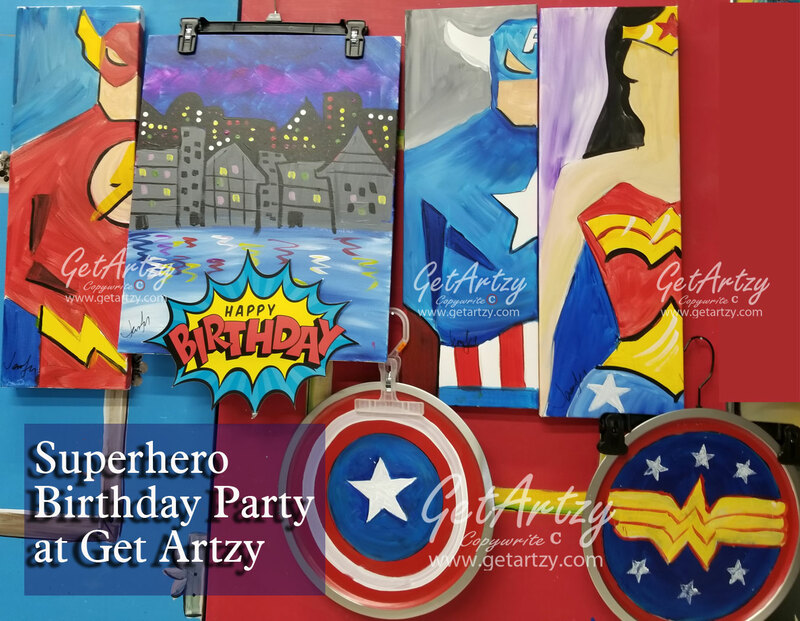 A custom painting for group or birthday girl/boy can be done for no additional cost. If they want something not in my gallery, I will create a painting for you. Must know what you want at least 3 weeks before party. CHAPERON’S -KIDS groups Not Needed. I only need the parents of the birthday girl/boy to stay and help with kids behavior and clean up. I prefer to have my staff help the painters. I don’t have room for parents, or spectators. Kids can open presents, but please have them play with them at home. At the end of the party, parents can come and view the paintings and take photos! 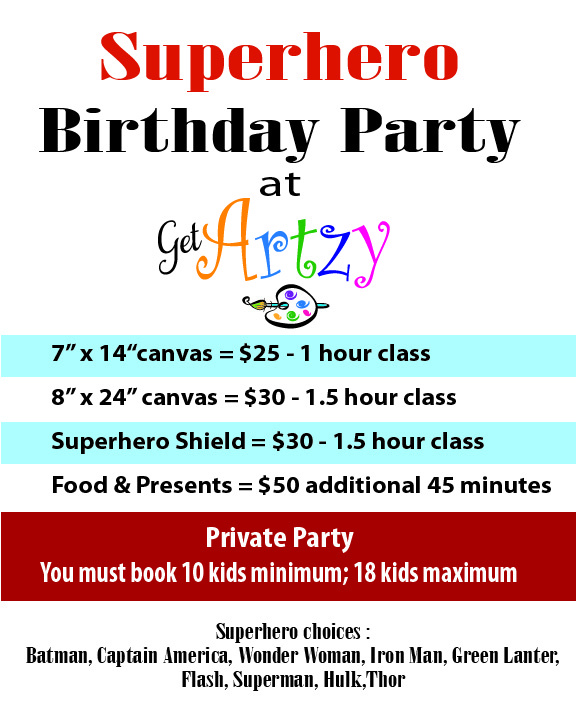 Call Jennifer at 262.492.3697 or email her to plan a Get Artzy Party! 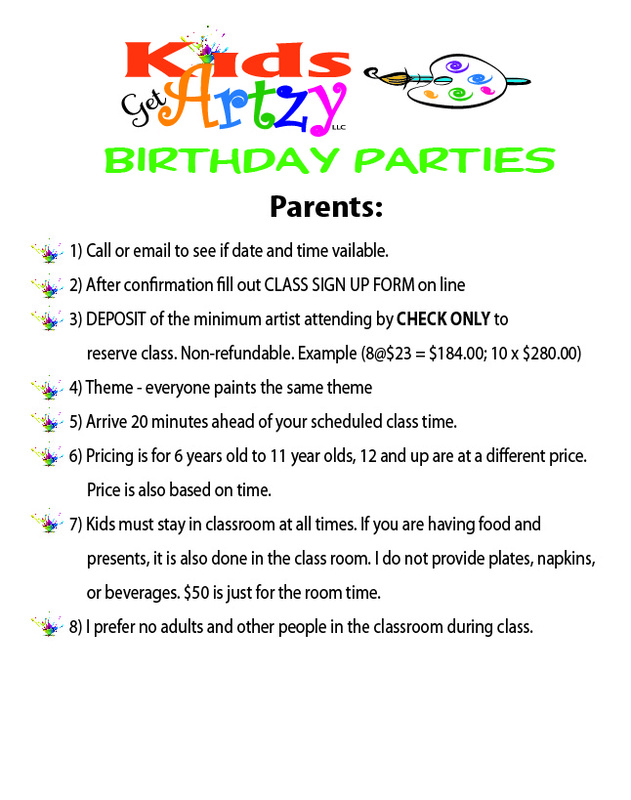 Click here to open/download the Private Party Permission Slips for all children attending.